Under the “Signature” label, Hautlence now offers a series-produced collection. Drawing upon the brand’s original design codes, this line asserts its own style, while becoming distinctly more accessible through cooperation with reliable movement constructors. Housed within a titanium case, the Destination 02 is protected by an opaline base dial topped by an intermediate sapphire dial featuring Arabic numerals that appear to be suspended weightless. 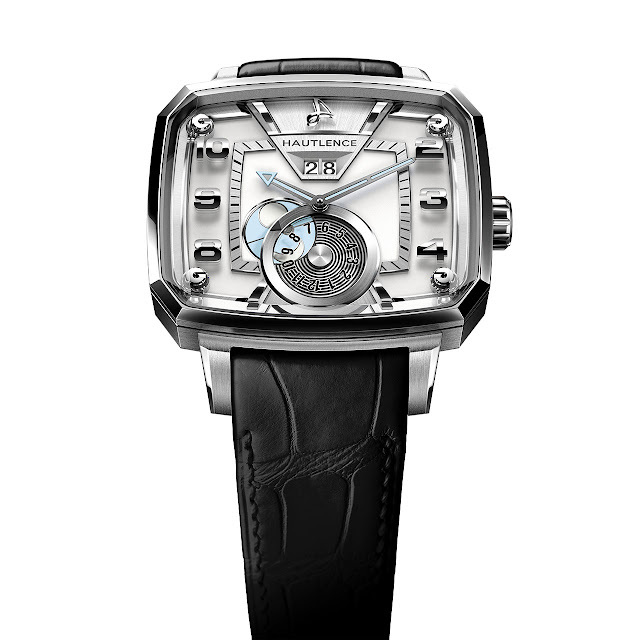 The minutes markings appear on a central ring and the large date bridge is engraved with the name HAUTLENCE. 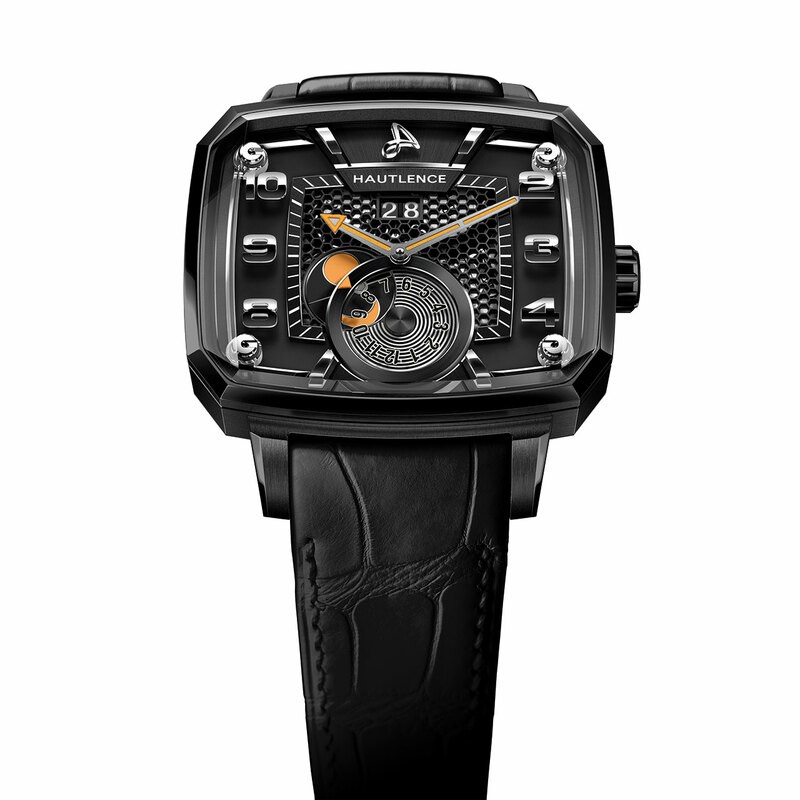 The dual-time indication at 6 o’clock is accompanied by a 24-hour day/night indicator. The openworked back is embellished by several engravings. Destination comes in three versions.